I miss reading fantasy books. As much as I love my contemporaries, I’m really ready to return to fantasy. It’s been a while, that’s for sure. Lately I’ve discovered a ton of fantasies that look amazing, and I can’t wait to share them today and read them soon! Like I said, I’ve been on a bit of a fantasy hiatus. But I still have a great love for the genre, and I’m hoping these books will get me back into the swing of reading fantasy. 🙂 I discovered most of them from other book blogs, and I’m so happy I did, because they look wonderful! In this post, I’ll be screaming about six fantasies I can’t wait to read, and talking a little bit about why I want to read them. Without further ado, let’s get started! I’ve heard so much about this book! (And I think it was all good things.) From the Goodreads synopsis, it seems to be a saving-the-world kind of thing, which I always enjoy. 😉 I also think the world will be so interesting and I hope there is a lot of worldbuilding in this book. 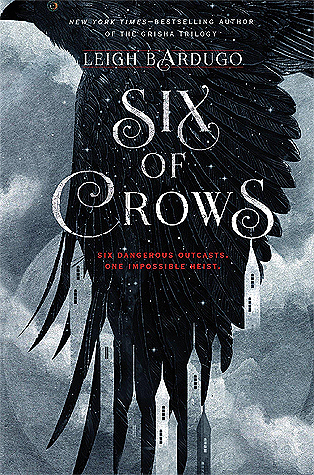 Six of Crows has SO much hype surrounding it! I hope I get to read it soon and see if it lived up to all the hype. Once again, I’ve seen a ton of reviews of Children of Blood and Bone. Even before I decided to get back into the swing of reading fantasies, I was interested in this book. This looks so long! I love a good long fantasy- that is, if it’s a book I can get lost in. I have super high hopes for this one- it has characters trying to bring back magic, it has princesses, and the main character seems really interesting! I HAVE HEARD SO MUCH ABOUT THIS BOOK AND V.E. SCHWAB. Sorry I keep saying that. But this is a ‘hyped fantasy books’ post after all. V.E. Schwab seems to be so many people’s favorite author, so I am so, so excited to read this book. Flashback to a couple weeks ago. I’d never heard of Caraval, and probably would never find out about it since I think most of the hype was last year. Then, I stumbled across this post of Ilsa’s and now I really want to read it and I want to read it now. The way she describes is just!! fabulous!! This book seems so magical and wonderful and an escape and I can’t even. I just checked it out from the library yesterday, and I’m so excited to read it soon. I always talk about contemporary covers being my favorites, because they ARE, but I have to say, this one is some fierce competition. It’s so beautiful and just *happy sigh*. NOW, onto the actual book part. This plot seems SO intriguing, and I’m desperate to know what’s going to happen. I love when books have such a modern plot, like this one- a game with a security issue. (I’m guessing it’s on a computer? But I have no idea. Someone help.) I need to know what happens, so I’m going to read it asap! I first remember seeing this book back when it first came out (in 2015) at my school’s book fair. I remember thinking the cover looked good, but not getting it because knowing me, I probably spent my money on a contemporary instead. 3 years later, I’m still wanting to read it. I don’t think I’ve seen this much in the blogosphere, but I have seen it a lot in real life! I know next to nothing about it, but I still really want to read it soon. Have you read any of these, and what did you think of them? Do you want to read any? What are your favorite fantasies? I’d love to chat with you in the comments. Photo by Céderic Vandenberghe on Unsplash >> credits for the photo I used in my featured image! many thanks to the photographer! Oh, oops, I thought it was fantasy. XD I’m so glad you liked it, I’m really excited! SIX OF CROWS SOUNDS SO GOOD and it sounds like I’ll love the characters. That’s always a good sign. A waffle loving, sassy character? That sounds perfect. 😉 Good to know about Red Queen, I won’t put too much stock in the most of the series, haha. The Young Elites are on my TBR too! There were a couple fantasies I forgot on this list, like The Young Elites and The Raven Cycle. But I still want to read those two just as much. YES, I can’t wait for Caraval! 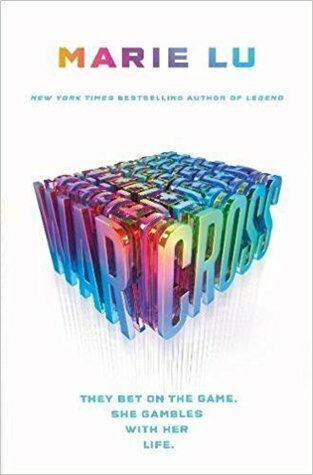 I really want to read Warcross and Red Queen soon too! I can’t believe you haven’t read Six of Crows!!! You def need to get to it soon! And I think ADSOM is super fun and I’m planning on reading the sequel soon. I didn’t really enjoy Caravel, it felt a tad too predictable. BUT you might like it! All of these books are amazing and you should definitely read!! I love how you did your level of excitement for each of them! Okay, I’ve read three of these: A Darker Shade of Magic, Six of Crows, and Red Queen. I liked A Darker Shade of Magic and I was okay with the other two. 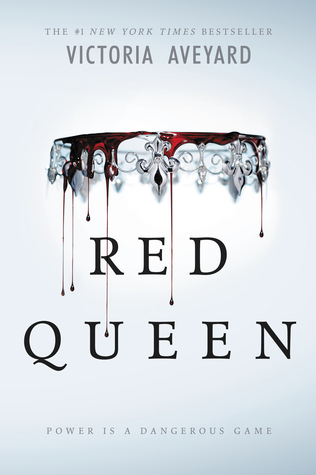 One of my friends is a big fan of the Red Queen series! I’m pretty sure I’ve Children of Blood and Bone at the library, but I’ve never picked it up. It sounds interesting. OH, favorite fantasies, I really like this question: City of Stairs, The Name of the Wind, The Lies of Locke Lamora, Howl’s Moving Castle, Lockwood&Co. Oh, I’m glad to hear you liked ADSOM. Did you read the rest of the Six of Crows series or not like it enough to keep going? I haven’t heard of any of those, so I’m really excited to look them up! Lockwood & Co. sounds familiar, though…maybe I have read it? I’ll have to check, and thank you for the recommendations. No, I didn’t read the second book. You’re right- I didn’t like it enough to keep going, but I don’t try to finish many series, so it’s not saying that much. Hahaha, that’s such a good way to look at it! Gotcha! Oh yes, I feel you. I checked and it turns out that I have read (part of) The Screaming Staircase! I got it from a book fair a long time ago, but I think it scared me too much to finish it because it was back in elementary school. XD I think I should try it again, though! Haha, I can see how The Screaming Staircase would be too creepy when you’re younger. One book that FREAKED ME OUT in I think elementary or middle school was Miss Peregine’s School for Peculiar Children. YES, you should! Oh, I was so scared of the cover I didn’t even read that one!😂Okay, I definitely will! I’ve never read anything by Tomi Adeyemi but I love her writing prompts. You’ll have to tell me how you like the book! That’s the same way I’ve been feeling! I can’t wait to finally catch up on all these fantasies. 🙂 Happy reading, Brianna! Ah I LOVE this list so much, so many great books here, I don’t even know where I should start 😂 I recently read Six of Crows, so very late to the hype, but I’m glad I did, I now get why it is so popular. The characters are so incredible, I loved them all so, very much. I hope you will, too! Yay, you loved Six of Crows! That gives me a lot of hope towards me liking it too, haha. Great characters are really important to me, so I’m so happy to see that the characters are amazing. YES, I’ve heard a lot about the wonderful Schwab! 😉 I’m really looking forward to finally reading one of her books, and to reading a Marie Lu book, too. Thank you again Marie! Happy reading to you too! Have you heard of Brandon Mull? A great fantasy author!! Same here! I hope we both get around to reading it very soon. 😉 Thank you, Katie! Six of Crows is so good! I finally read it just this month and I really really liked it. All of the other ones on your list are on my tbr too. I’m so glad you liked it! Just another reason for me to want to read it even sooner. 😉 Happy reading! I vote that you start with Six of Crows! I love that duology so, so much! Oh, I’m really happy to hear that! It wasn’t checked in to my library, so sadly I don’t know when I’ll be reading it. But I think it’s the one I’m most excited for! Fingers crossed it’s in soon! I know right?! If I had a penny for every time someone talked about Six of Crows…😂I’m so glad to hear you liked it and that the sequel was also good, that gives me a lot of hope! The same goes for ADSOM and Warcross. I’ve been wanting to read Marie Lu’s Legend as well, maybe I’ll have to do that sometime! Aww, that’s too bad about Red Queen. Thanks for the heads up, though! All of these are on my list too! 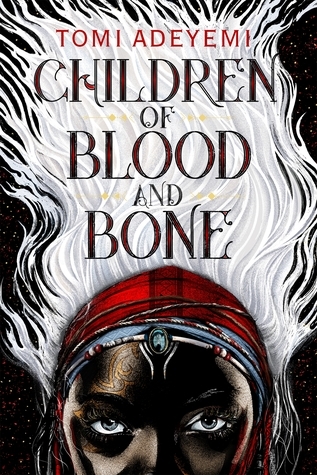 The reviews of Children of Blood and Bone have also made me want to read this book!! I’ve actually read all of the other books you mentioned in your list and I enjoyed all of them quite a lot (with the exception of Red Queen and Caraval). 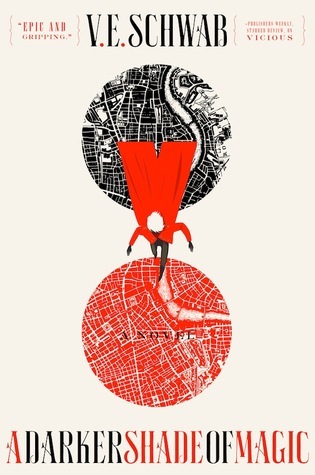 I felt like Red Queen contained a lot of tropes I’d seen in other fantasy books and there wasn’t anything particularly unique about it. And I didn’t finish Caraval because I just..got bored? I don’t think it was the book for me but a lot of people have enjoyed it so I’d still recommend that you check it out of course. Same here! Everyone seems to love it and I’m just so curious to read it. 🙂 I’m SO happy to hear you enjoyed a lot of these books! I’m sorry you didn’t enjoy Red Queen, though. 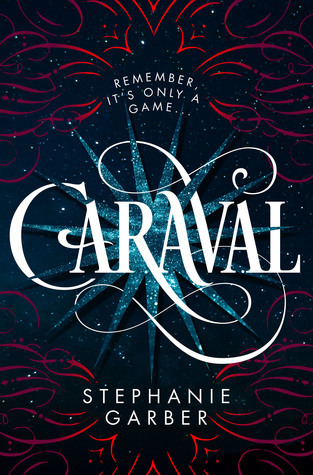 I just finished Caraval and actually really enjoyed it, although I can kind of see how someone could get bored! Thank you for your comment, Rachana, and happy reading.